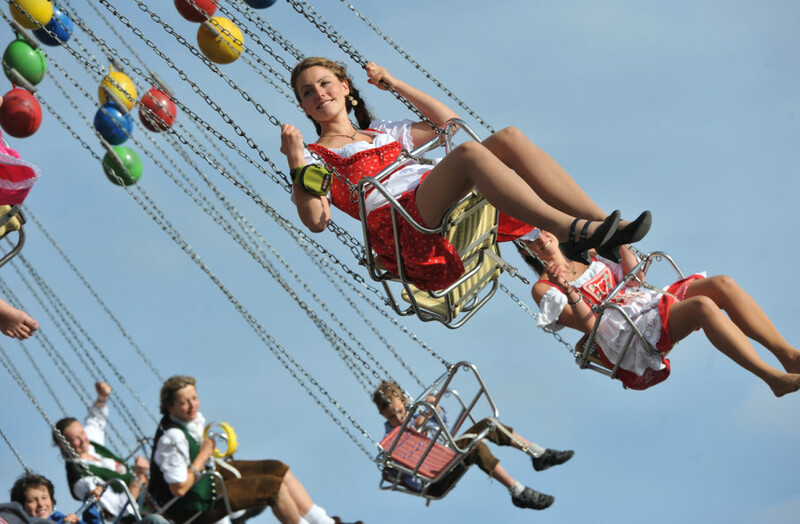 A woman wearing traditional Bavarian clothes rides a fairground carousel at the Theresienwiese Oktoberfest fair grounds in Munich, southern Germany, on Sept. 23. OK, it's mostly about beer, but there's also funny hats. 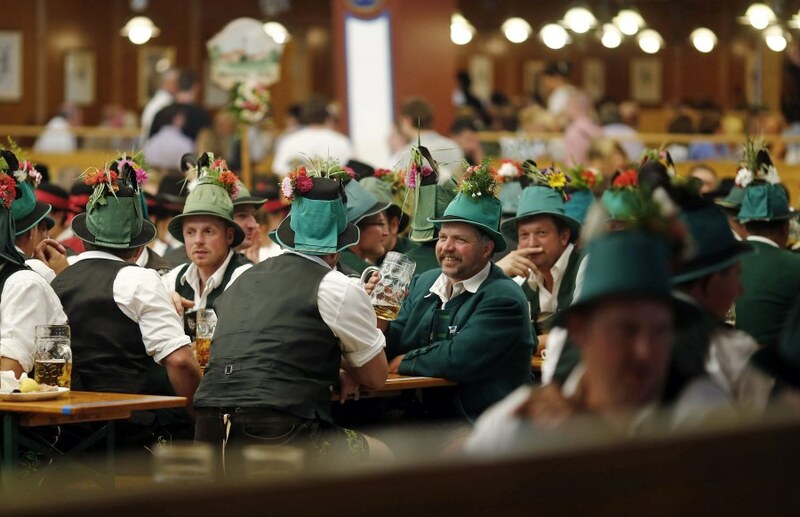 People in traditional Bavarian clothes take a break after the Oktoberfest parade in Munich on Sept. 23. 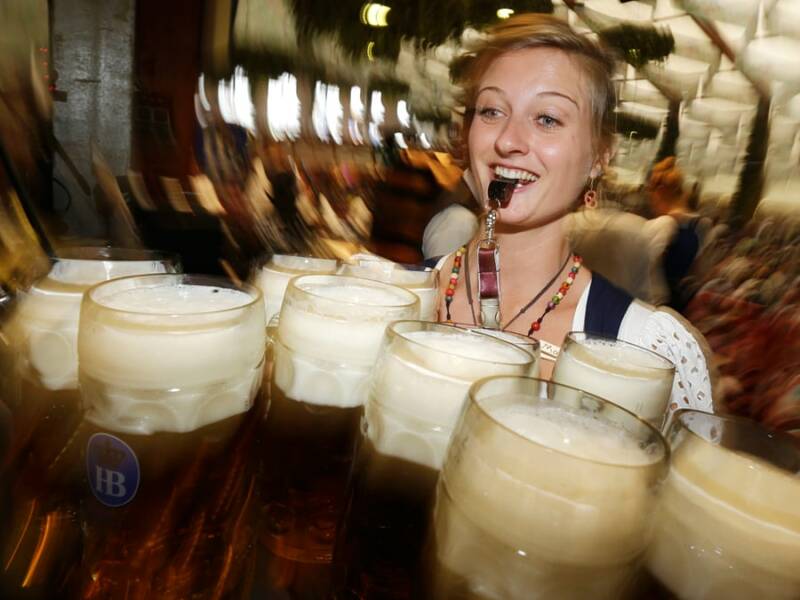 Millions of beer drinkers from around the world will arrive in the Bavarian capital for the 179th Oktoberfest, which runs until Oct. 7. 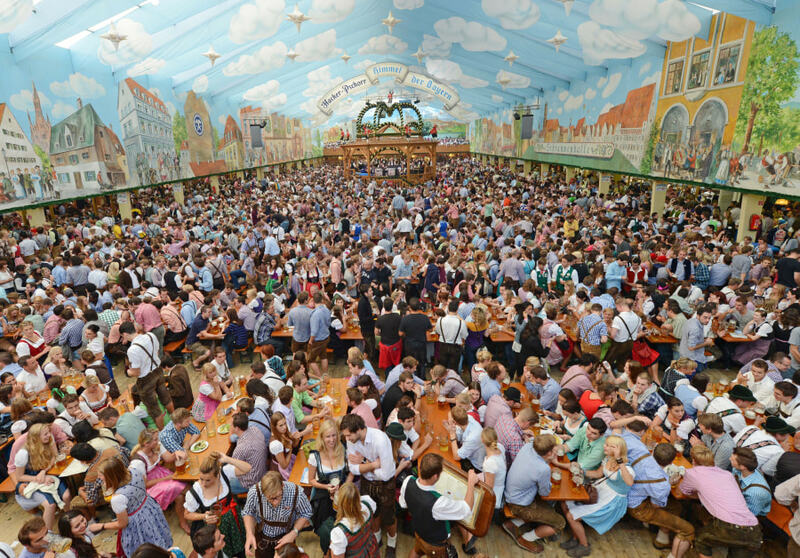 The Oktoberfest festival tent at the Theresienwiese festival grounds in Munich on Sept. 23. 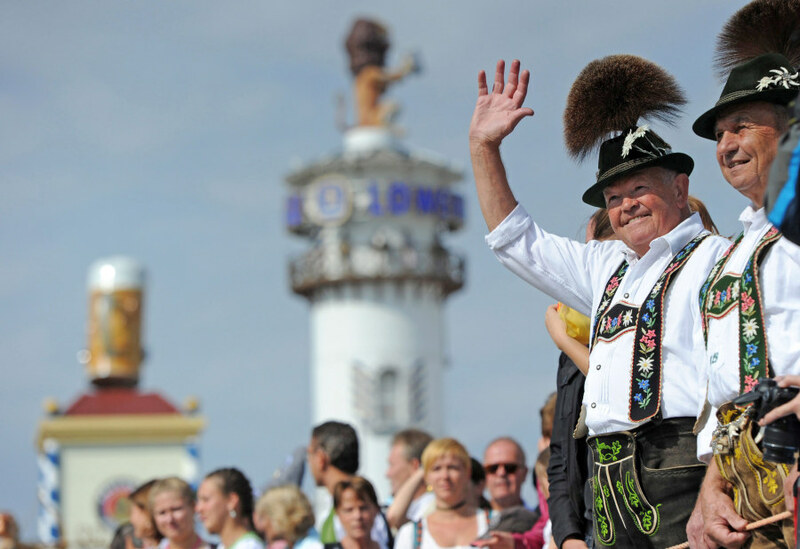 Spectators watch the traditional costume parade at Oktoberfest in Munich on Sept. 23. 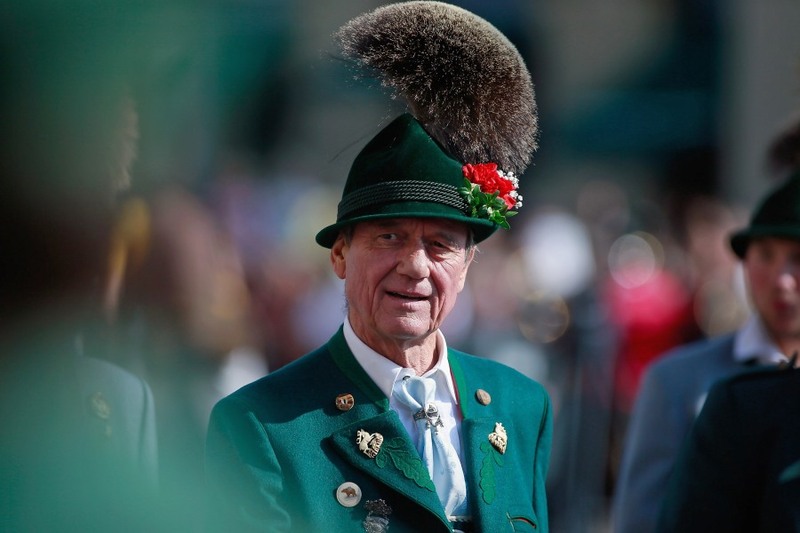 A member of a riflemen's association wears a traditional Bavarian Gamsbart hat during the riflemen's parade on day two of Oktoberfest in Munich on Sept. 23. 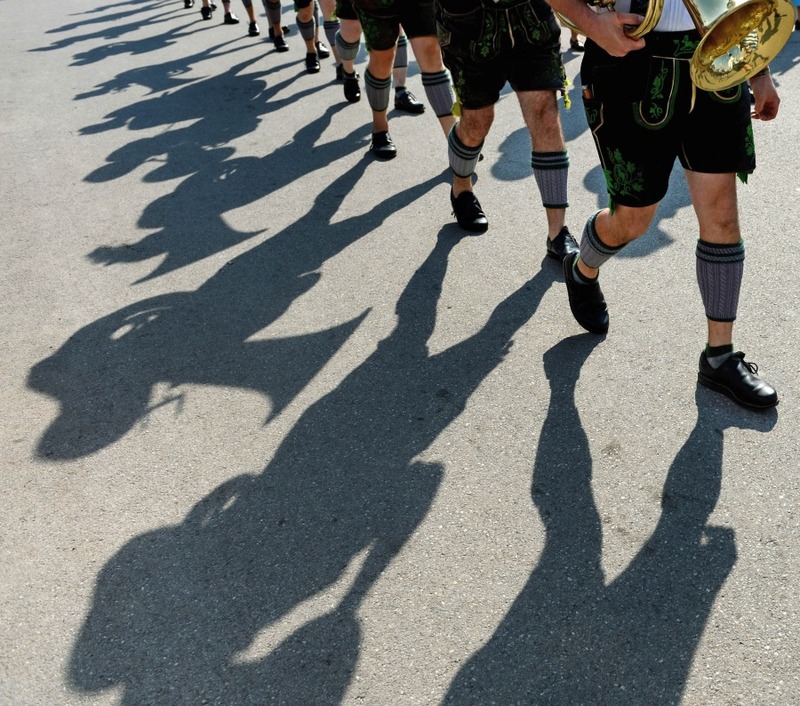 Musicians parade during Oktoberfest in Munich on Sept. 23.